Here’s the entry in his livejournal. 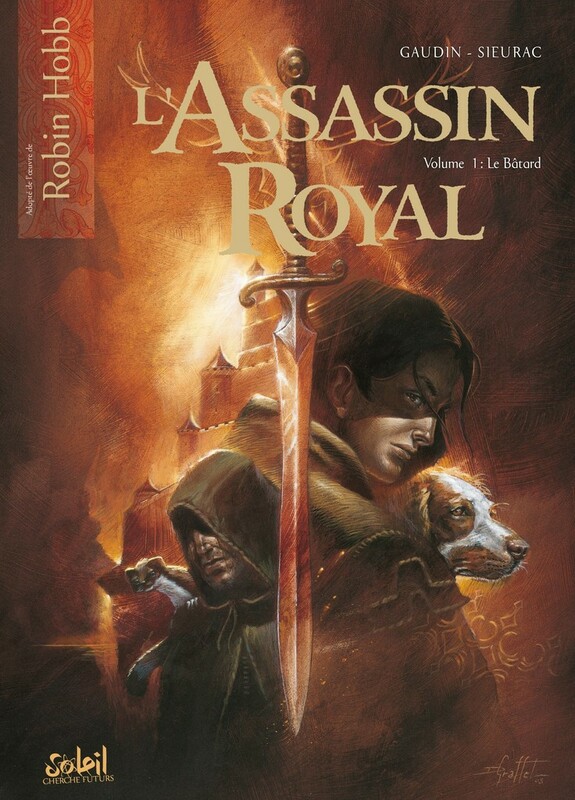 Les Rivages Maudits have posted the cover art for the first part of the upcoming French graphic adaptation of the Farseer trilogy. Artist’s name is Didier Graffet and as usual, the cover might still change before the publication which will be in September. Click on the thumbnail for a bigger version. ActuSF and PtiteTaou have posted a nice set of videos from the Imaginales that cover Robin talking about her books and writing. You can watch the first video here at dailymotion and then continue browsing the rest of the clips. Topics include some of the older Megan Lindholm works, how she works with John Howe, the Fool’s antics and doing research for the stories, among other things. 7 pm: To write « lofty » literature… Do SF&F writers lack ambition? New cover for Renegade’s Magic? Thanks to Lucide for reminding me about this: Voyager is going to publish a paperback edition of Renegade’s Magic the first of July (details). The cover they have posted features the image of Orandula we’ve seen on Jackie Morris’ site. But did they just change the illustrator in the middle of the paperback series, or will there be one with John Howe’s cover as well? (We’ve already seen the hardback and the “large format” mass market paperback with his art for RM.) what do you think? Drop by at the forums and let us know!